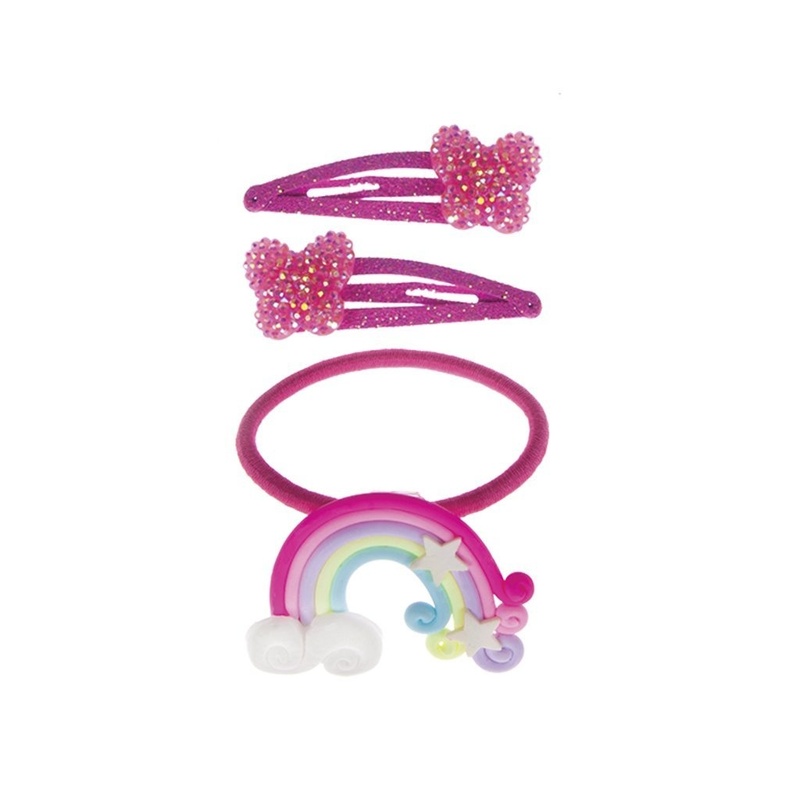 A glitzy set made for the rainbow spark in everyone, this 3 piece set includes 2 hairclips and 1 very cool rainbow hair tie. 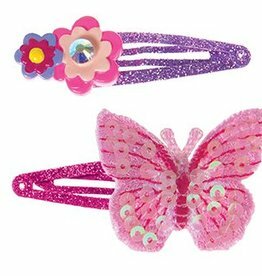 The sparkle snap clips feature magenta glitter on the clips and each butterfly bead is decked out for super sparkle! 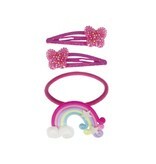 The soft elastic features a flexible rainbow icon designed with star details. Encourage role play and satisfy a child's curiousity with this cosmetic kit. Set includes hair, nails and make-up essentials. 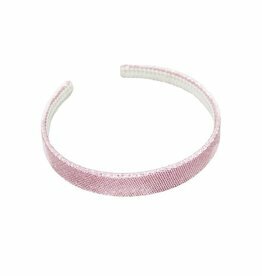 These Sparkle Headbands are true to their name, completely wrapped in metallic glitter they are sure to sparkle in every way possible. Available in three colours, pink, dark pink, and silver. 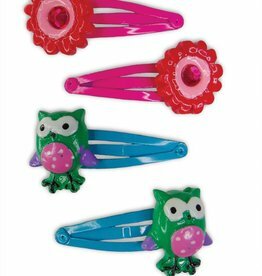 These cute owl and flower clips will remind you of Spring! Owls are all the rage in clothing and accessories - when you see these two little owlets you will see why. 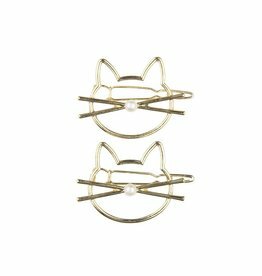 Be the star of the show in these glamorous rock star hair clips. 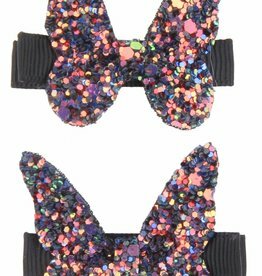 Sparkly felt butterflies are sure to glisten under the lights as you rock out to your favourite song.